Finally, my “finish” pile is gone. 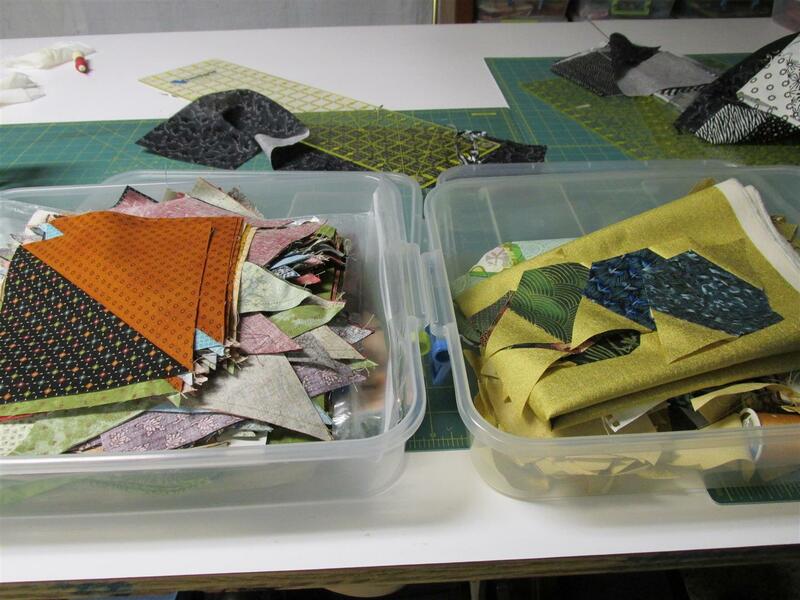 Oh, I still have many works in progress – the finish pile was those quilts that were at the very end: a binding, backing, quilting, label… I have had two project boxes empty for about two weeks (out of 14 boxes.) Guess I just couldn’t stand it so I began cutting. I love to cut! I like laying out the fabrics, petting the fabrics and yes, even cutting the fabrics.The first project I cut for is for a hexagon and triangle quilt. When sewn together they form a star and there are no Y seams. I’m using all the metallic fabrics I’ve collected for a few years now and a solid gold for the triangles. This is a quilt that is sure to glisten! The second project is for a Kim Diehl pattern. This is so out of my area – much more traditional than I have ever done. 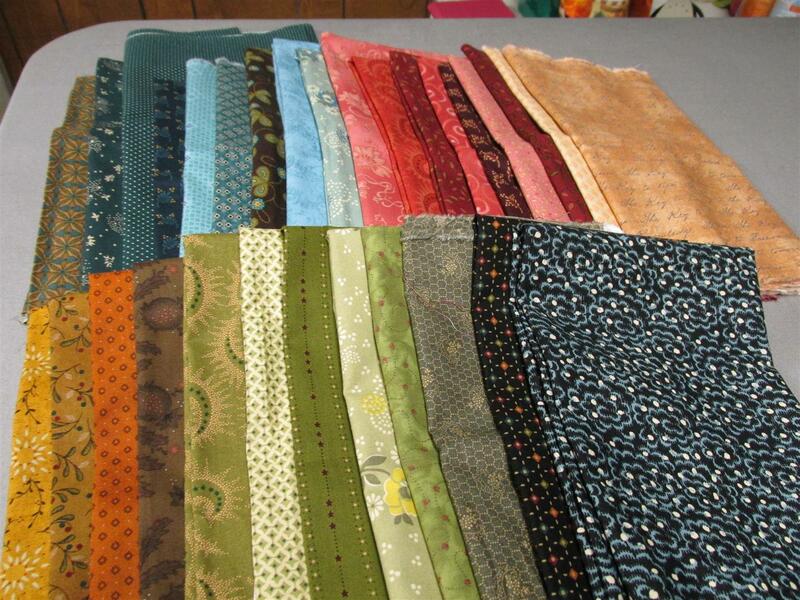 As I laid out each of the fabrics (30 fat quarters) I realized how much I liked them, but what a far cry they were from the more vibrant fabrics I usually choose. The pattern also has quite a bit of appliqué. Hand appliqué is one of my goals for the coming year. It entertained me that when I had gone to Mary Jo’s Fabric Store (a huge fabric store) to get the additional fabrics I needed, I could not believe it when I found myself in the Civil War fabric aisle! I’ll consider this a real growth spurt for me! Some work was done on each project at a two day sew-in with friends this past week, but it will be quite some time before any more progress is seen on these two projects. They are tucked away all safe and sound in their respective boxes, and will probably be carried off to a sewing weekend some time down the road, or pulled out here when the desire to work on one hits me. Do other quilters do this – work on several or more projects at once? Or are you a start and complete one project at a time quilter? Posted in Color, Fabric, Projects, Quilting, Sew-in, Stash and tagged Color, Fabric, Metallics, Patterns, projects, Quilt, Quilting, Traditional. Bookmark the permalink. You have been a busy lady! I used to do one project at a time. Now I find that I like to have a few going at once, with one or two involving handwork or a take-along project that I can take with me to appointments, meetings or for TV time. I really enjoy pulling out fabrics and ‘petting’ them too! I usually have two projects going at once…one big, the other not so big that way I get a sense of accomplishment. 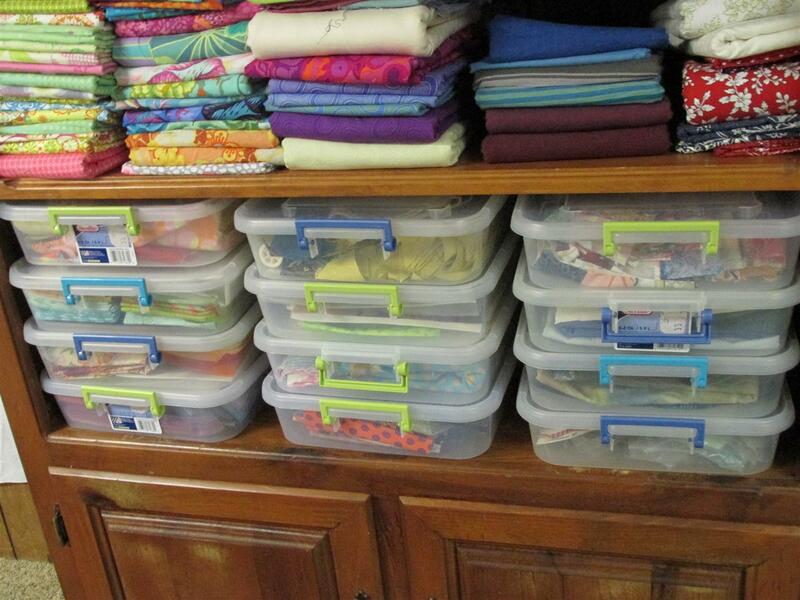 I love how organized you are…I’m still trying to get my craft room all setup – waiting on hubby to make a cutting table. Your fabrics are beautiful. The hexis are fun because there is such a variety. The fabrics for the Kim Diehl project are so pretty and play well together. 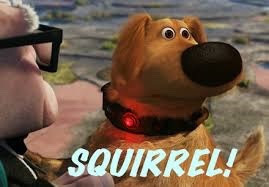 I have so many projects going on. It’s kind of silly but the one area of my life where I have complete control – I’m the boss and can start, stop and stall. You are so organized! I’d like to have less projects, but because I have such a great stash, it’s just too easy to get into it! 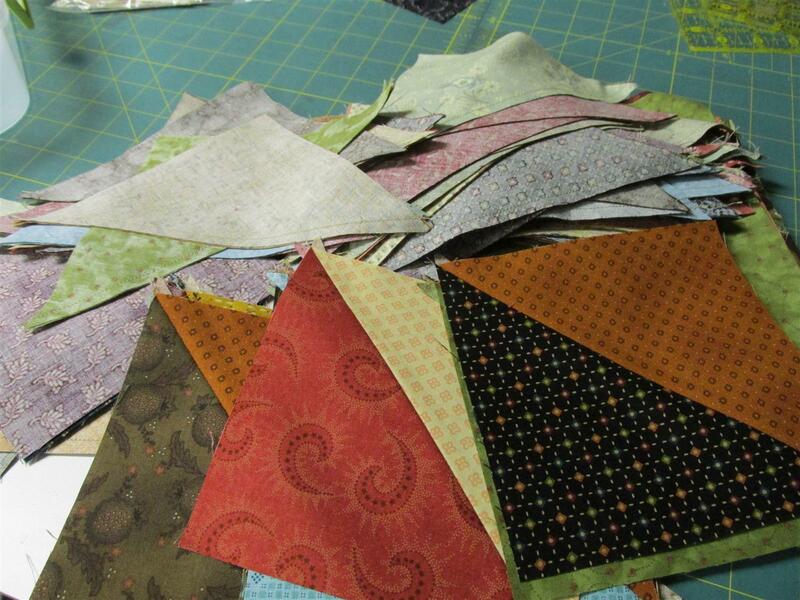 So many wonderful quilts to be made! I researched the net then drew it out using my size hexies. 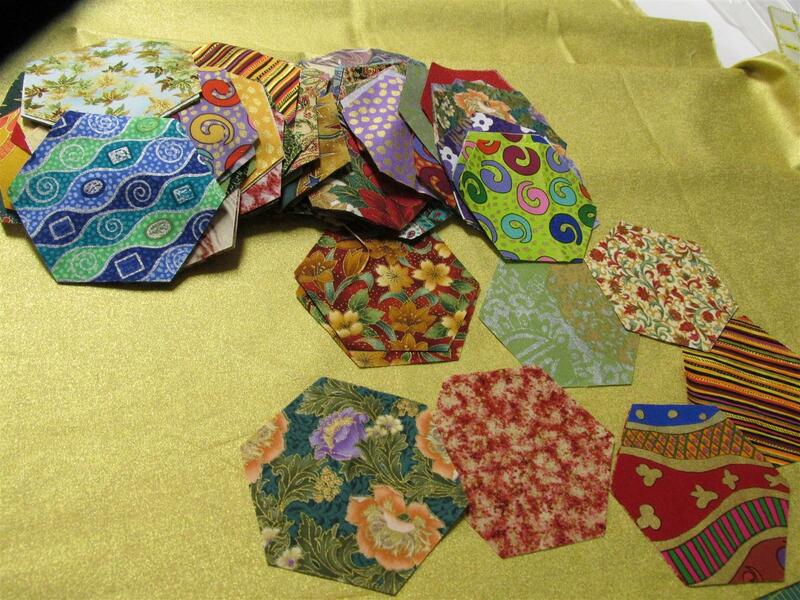 I cut my hexies using a die for my Sizzix big kick cutter. So easy that way! I’ll show the process on an upcoming post.